I arrived at Kyoto Station by Shinkansen. 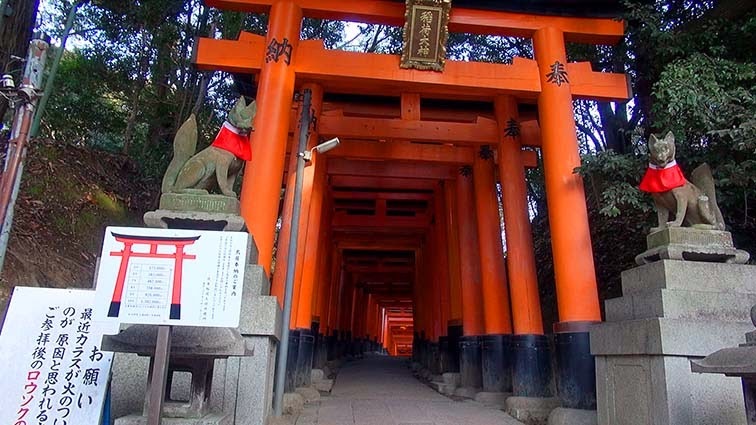 I will go to Fushimi Inari at first. 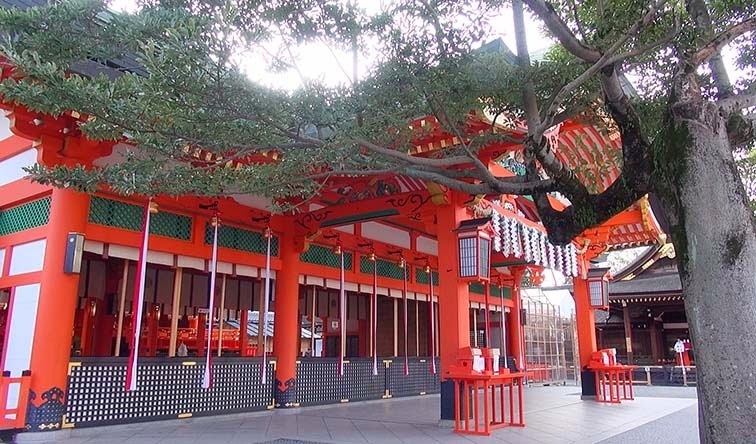 Fushimi Inari is located to the south of Kyoto Station. 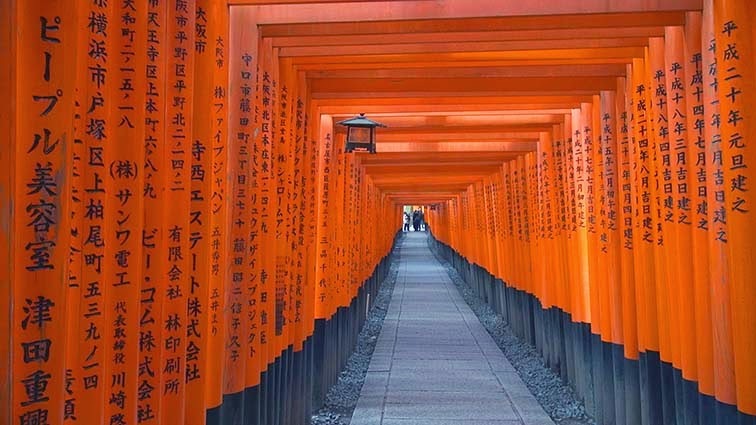 How to go to Fushimi Inari from Kyoto Station. 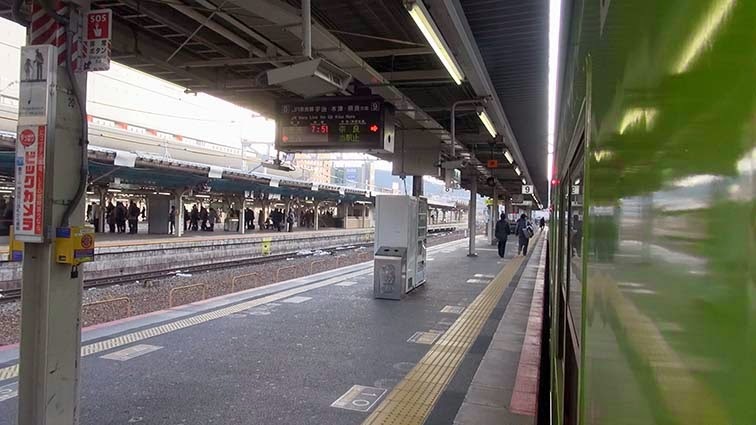 It is the second station from Kyoto Station. Probably, a high school is close. 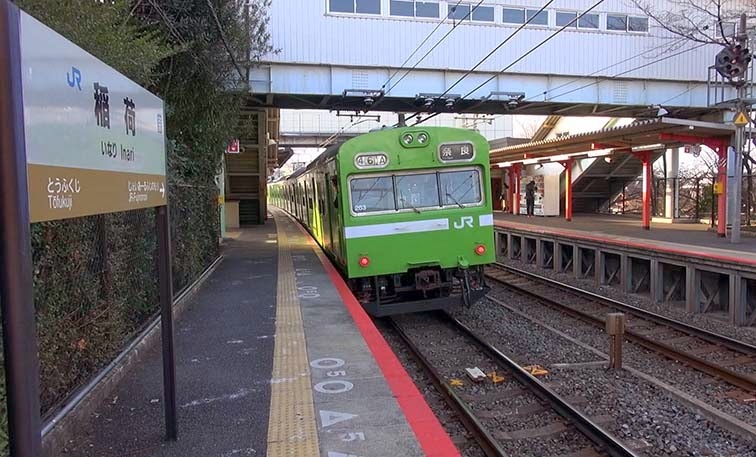 Many high school students got off the train at this station. 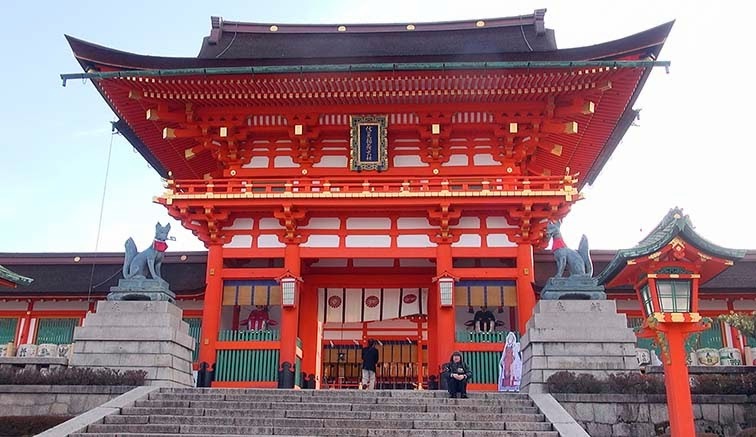 Fushimi Inari is in front of the ticket gate of a station. There is also a bicycle parking for bicycles. The road in front of the station. 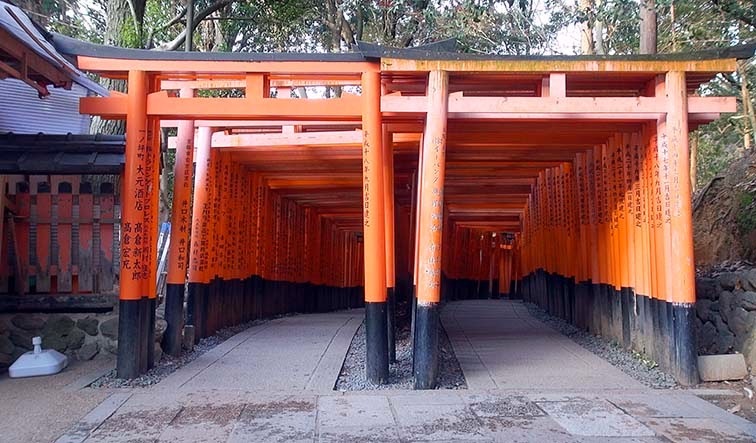 If it goes across it, there is big torii. Ttower gate is located in over there. 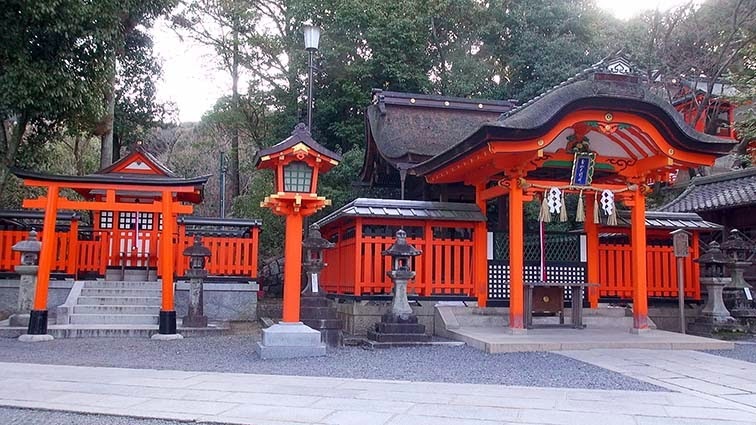 There is a Chozuya in front of the gate. 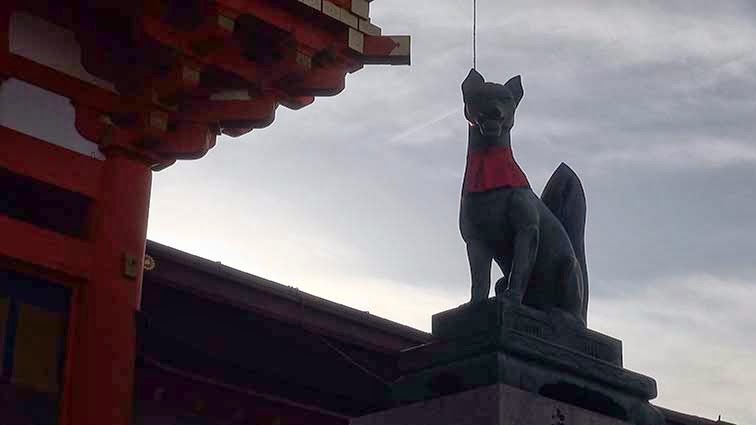 There is a statue of a fox. 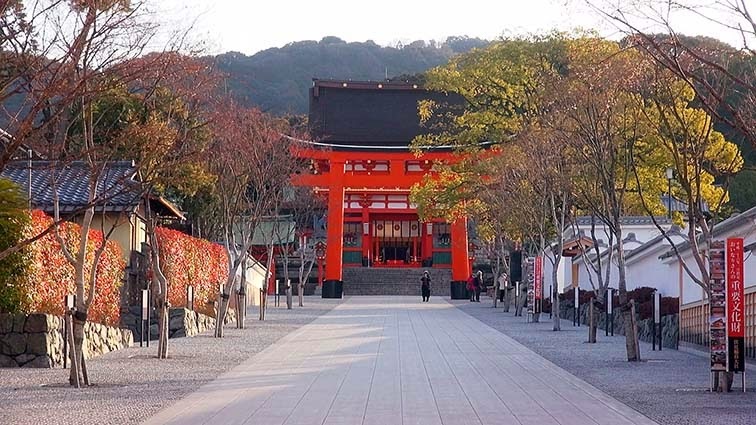 There is a hall of worship on the inside of the gate. There is a main hall at the behind of the hall of worship. Hondo is the ban on photography. 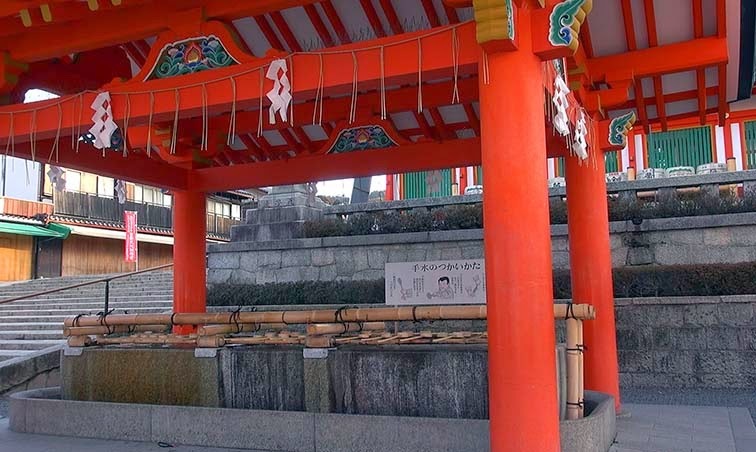 An enshrined deity is Ukanomitamaookami. I have worshiped in the main hall. 3. 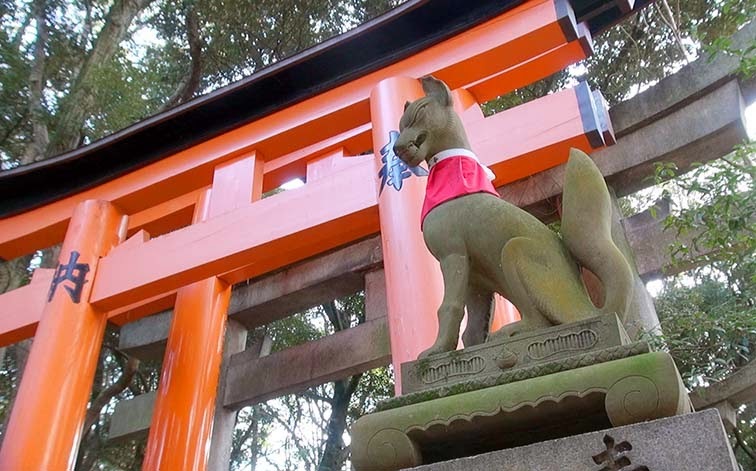 Mimi-san goes to Inner Shrine in Fushimi Inari. 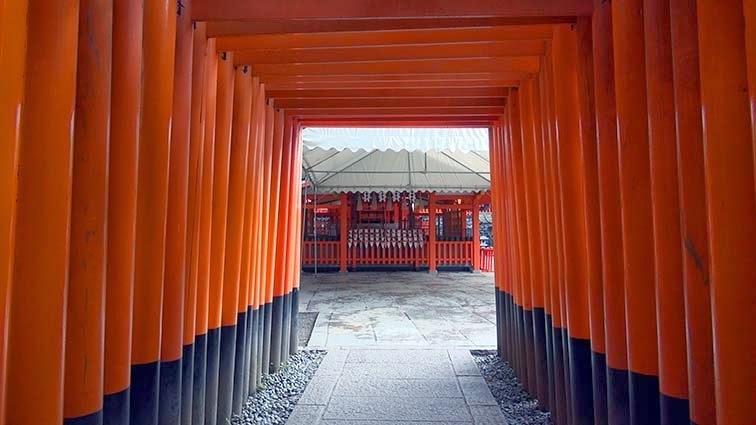 Highlights of the Fushimi Inari. It standing in a line in large numbers very much. 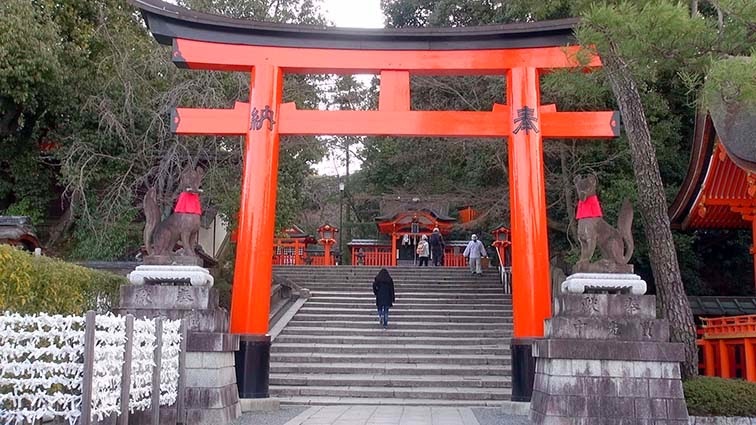 There is Senbon Torii where we went up the stairs. 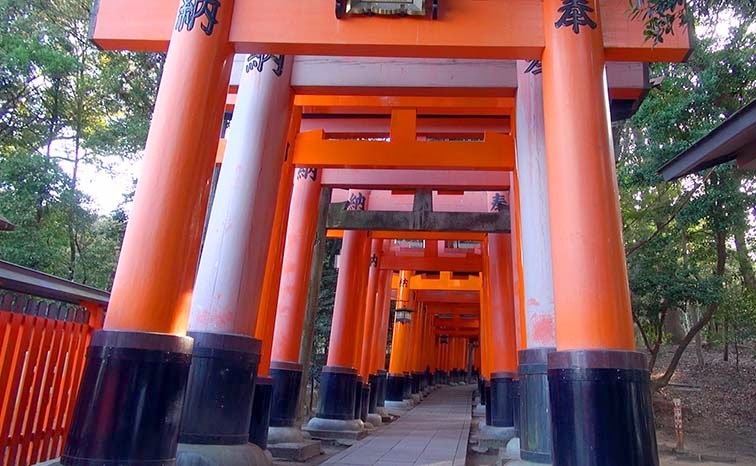 there is a passage in Senbon Torii. 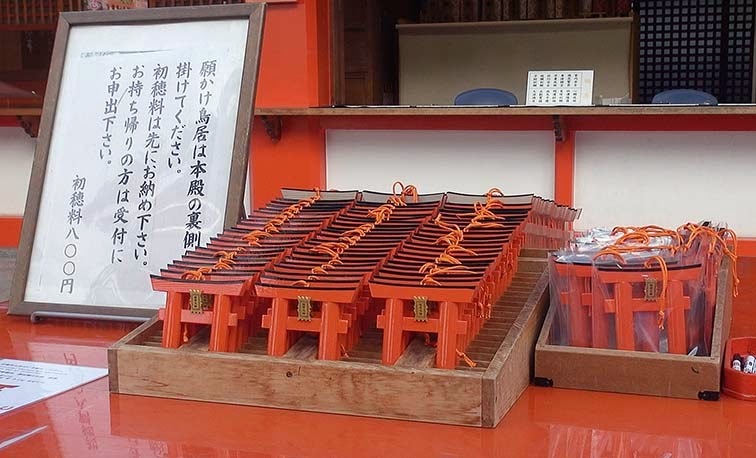 There is a Shrine of some in the middle. I worshipped also at them. 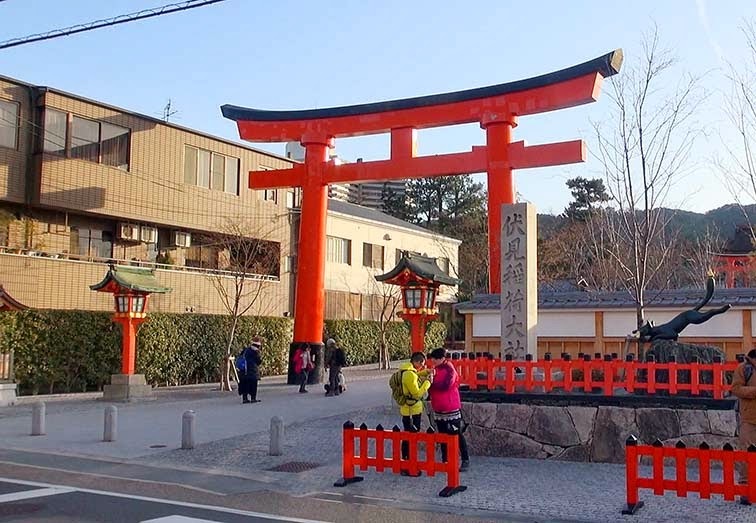 I saw the Senbon Torii. Torii has continued in the back. It is the way which both leads to the same place. It can buy a amulets here. 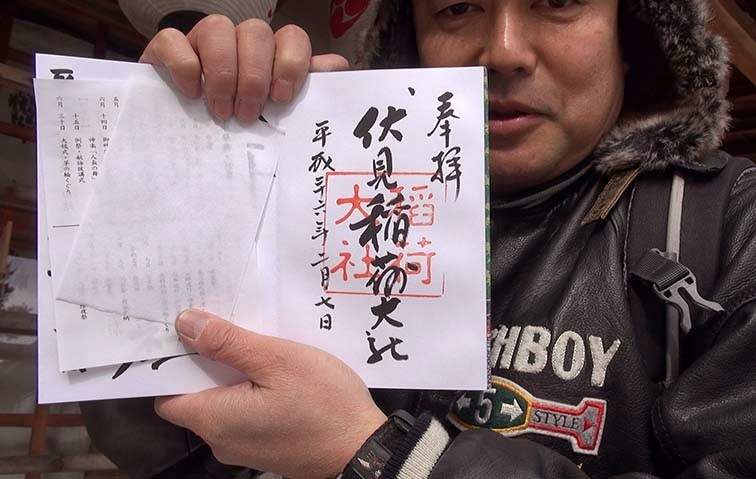 There is a Omo-karu-ishi here. 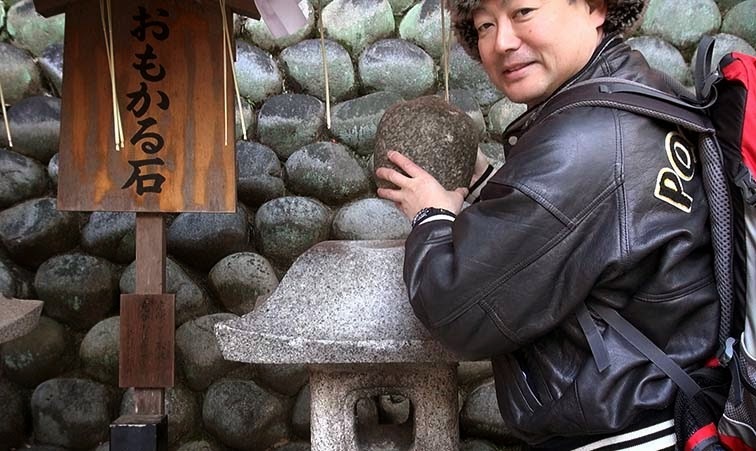 To lift the stone with a wish. That wish come true if you feel if lightly. That wish do not come true it if you feel heavy. 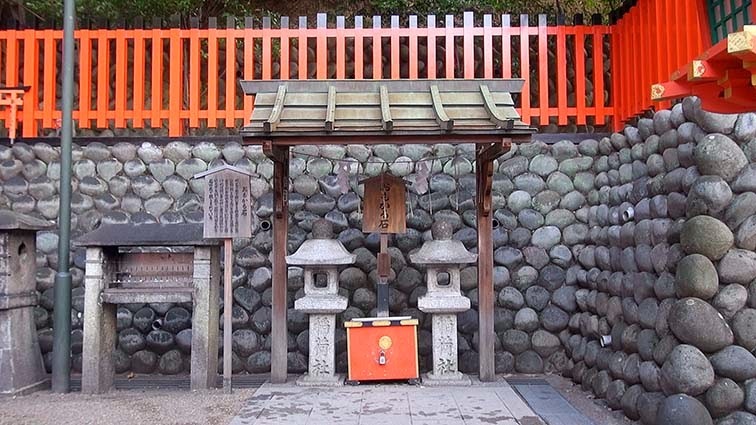 Stone at the top of the lantern. 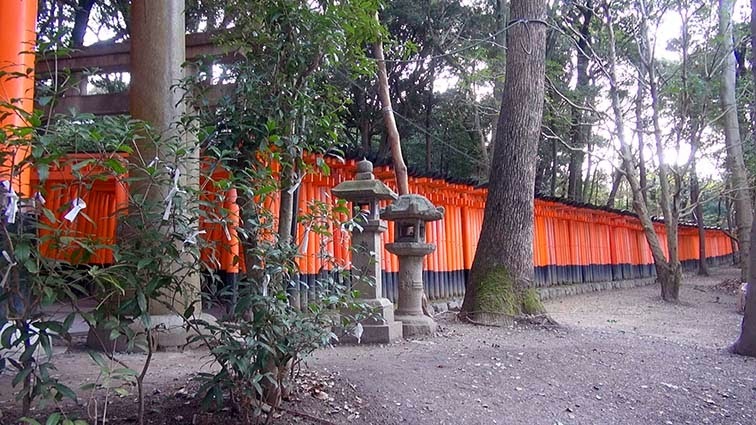 Furthermore, a shrine is located also at back. I must go to the shrine of the other. 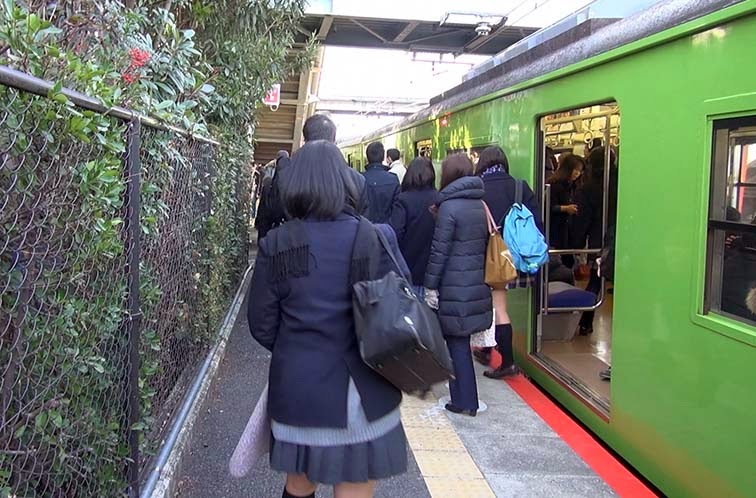 So, I did not go to the back. We can get red seal on the outside of the tower gate.